The Eco Group Award brought to you by Clean Coasts and Leave No Trace recognises communities that have made outstanding efforts in 2018 to improve their local environment. The award recognises that environmental efforts taken by the community can take on any form that has improved its region, including tidy towns efforts, area clean-ups, promotion of environmental messaging, adoption of environmental practices etc. 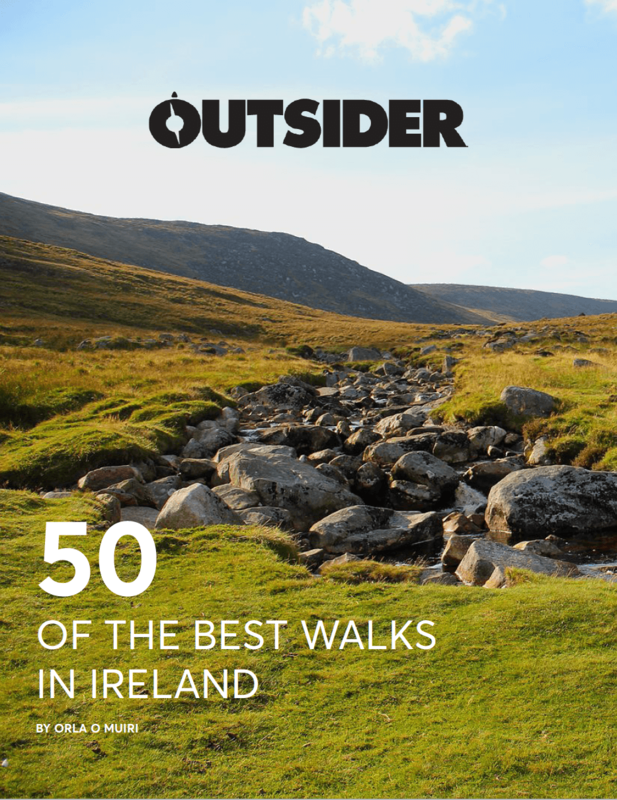 The winner of this award will be decided by judges from Leave No Trace and Clean Coasts, and will be announced at the Outsider People of the Year Awards on 30 January 2018. You can buy tickets for the event here. In the meantime, sit back and prepare to be inspired by these incredible groups that are making positive changes to our environment. 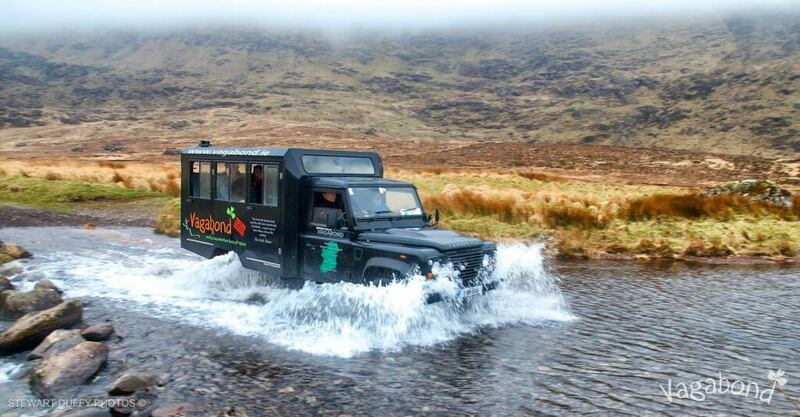 Irish company Vagabond Tours is an excellent example of an organisation that is making a conscious effort to protect our environment and offset its carbon footprint. Vagabond Tours is actively involved in the PURE Mile initiative where it is responsible for the maintenance of a mile in Lackandarragh Lower in Wicklow. Work involves removing rubbish, repairing and maintaining old gates, trimming hedges and lots more. As well as its involvement in the PURE Project, Vagabond Tours actively includes environmental sustainability in its day-to-day business. It is Ireland’s first tour operator to achieve the Ecotourism Gold Level Certification. As a member of the Leave No Trace programme, Vagabond follows the Leave No Trace principles on its tours. Its guides educate passengers on the Leave No Trace philosophy before each tour, including correct waste disposal, minimising harm to wildlife and stressing the fragility of the local ecosystem. Vagabond tour guides carry rubbish bags on all tours and hikes and pick up any rubbish from the ground left by previous visitors. Passengers often follow suit. As well as incorporating these values into its tours, Vagabond plants hundreds of trees each year to offset its carbon footprint. It has been successful in totally offsetting its carbon footprint for the last two years. Vagabond also washes its vehicles sustainably using NoH2o, a waterless car wash solution. It is especially great when the younger generation get involved in beach cleans and other conservation work. Not only are they making a positive impact on the environment but they are also learning from a young age how important it is to protect our precious coastlines and countryside. And their passion didn’t stop there. Bray Sea Scouts also applied for a sponsorship to do conservation work with scouts from Slovakia, Greece, England and Malta in Malta. Here the group were educated on and worked on microplastics on the beaches. 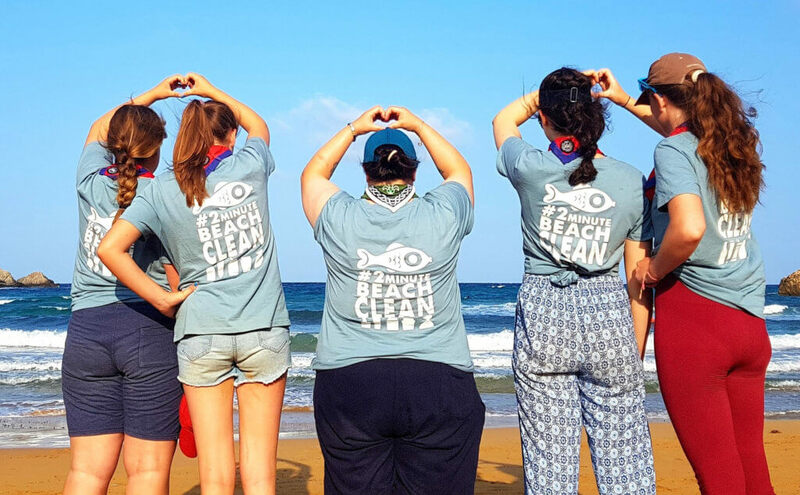 In a bid to get other young people involved in beach cleans in Ireland, Bray Sea Scouts offered land-based scout troops a day on the water in return for doing a beach clean. The Bray Sea Scouts have formed amazing new habits and will now reach for litter in the water without even thinking about it when they are out canoeing. The Cabragh Wetlands Trust was registered in 1993 in an effort to save a vast area of wetland habitat from destruction after the filling-in of the settling pools by the Thurles Sugar Factory during its closure. These lagoons used to be an oasis for wildlife, particularly birds. The trust was formed and acquired the land adjacent to the filled-in lagoons to ensure the continuation of this resting place for migratory birds. The centre is run by a group of committed volunteers who provide exciting field trips for children and adults of all ages. The wetlands have no less than 15 different habitats, including ponds, reed swamps, hedgerows, streams and wildflower meadows. Footpaths and raised walkways, with beautifully illustrated information boards as well as a large bird hide, make an ideal place for school children to discover the sights and sounds of nature in a safe and child-friendly environment. The Cabragh Wetlands are now frequented by walkers, photographers, artists, families and children in search of knowledge. 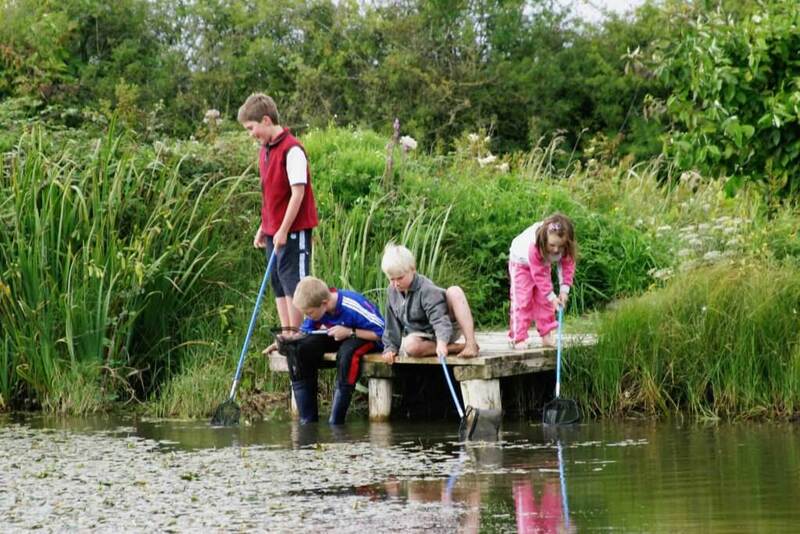 Regular events are also organised at the wetlands. It is a great place to educate future generations. The Burrenbeo Trust engages with local and visiting communities, old and young, to generate a sense of informed pride in their heritage and landscape. 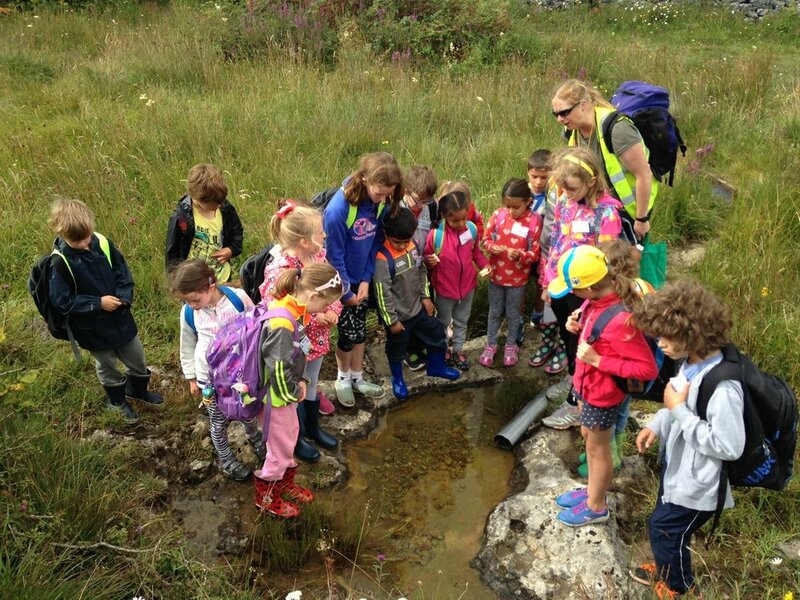 The trust promotes the Burren as the ultimate learning landscape with a view to promoting future sustainable management of the region. The trust also shares knowledge of best practice in active community stewardship, and place-based and community-based learning. The Burrenbeo Trust currently runs a total of 46 different programmes, all based on a model of community-led conservation. These include programmes engaging people with the natural, built and cultural heritage of their area. They fall under the category of place-based learning – where people learn in, about and through place. Place-based learning offers major physical and mental health benefits to participants, giving them a greater understanding and appreciation of their local area. In addition, the Burrenbeo Trust also dedicates time and resources to research and advocacy programmes. Active conservation plays a major part in the Burrenbeo Trust. Throughout the year, volunteer groups work on dry stone walling, archaeological survey work, scrub management, species monitoring and landscape management in order to preserve and protect the Burren. The Burrenbeo Trust also hosts a number of events throughout the year. These include monthly heritage walks, winter tea talks, placed-based learning events and a working for wellbeing event amongst others.